Ubisoft Philippines has launched its new game development studio in Santa Rosa, Laguna to continue its expansion in the country. 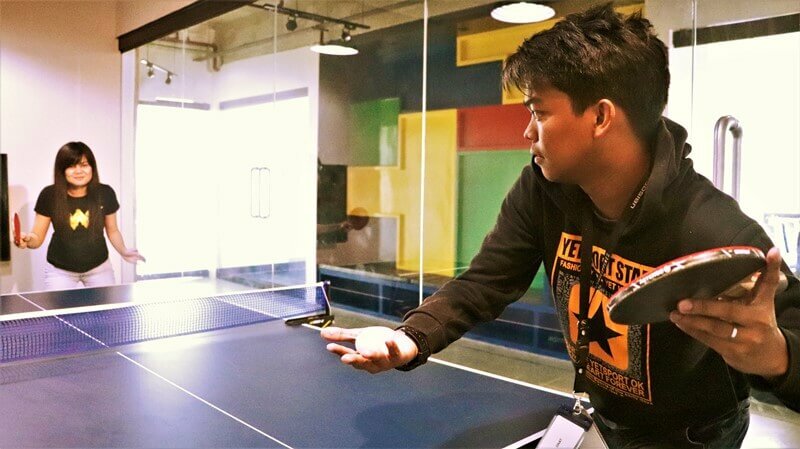 Located inside the De La Salle University Laguna Campus, the new studio is designed to be its base of operations in the Philippines, as it also features the first and only facility co-developing AAA games in the country. “At Ubisoft Philippines, we take fun seriously and our new studio is the embodiment of this motto. Our staff pushes the quality bar to international standards, and we are more than happy to provide them with an environment that is conducive to creativity, collaboration and self-expression. This is reflected in our office architecture, such as the open-floor design and the break-out spaces which promote communication and fosters teamwork,” Chip Go, Studio Manager of Ubisoft, addressed. With that, the company claimed that they also deliver an environment that promotes creativity and fun working experience. The studio also has numerous game stations, pantry, break-out spaces/lounge areas per floor, a table tennis setup, a giant slide for going between floors, and a roof deck for events and gatherings. Meanwhile, as a proof of their productivity, developers from Ubisoft Philippines have already co-developed 5 AAA Games in just two year. These include Assassin’s Creed: Odyssey, Assassin’s Creed: Origins, The Crew 2, For Honor, and Skull & Bones. Ubisoft Philippines also explained that it will continue its expansion in the country, hiring up to 200 game developers in the coming years. Current openings are available for artists, programmers, project managers, and more.